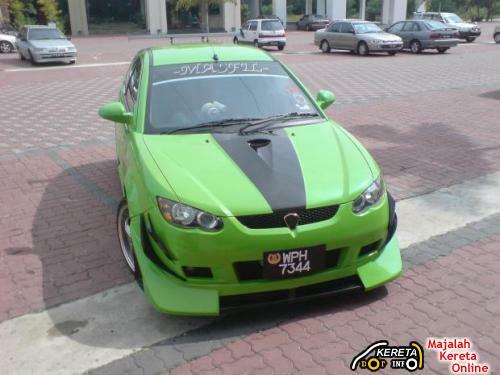 The New Proton Satria Neo maybe one of your choice of car to buy. Before you decide to buy it, it is better to read some info and reviews about this hatcback sports car from Proton. Maybe now you are comparing between Satria Neo VS Perodua Myvi VS GEN2 VS SAGA BLM etc. Bear in mind, stick to what you choose, the design, performance or comfort. But clearly this car fits all of the above characteristic. Except that it is actually small inside but look big outside due to the “wide body kit” styling at the wheel arc and bumpers. Many of the user of Satria Neo are complaining about the fuel comsumption because it uses the first generation of campro engine. But then, it also has a very attractive factors which is the sporty design. The Proton Satria Neo was introduced in June 2006 as a replacement for the first generation Satria. Based on a new platform developed in-house by Proton (with some parts borrowed from the bigger Gen-2 and Waja), the car is currently only available in a three-door hatchback guise. The car was developed at a cost of RM500 million and four years, and was expected by Proton to generate a monthly sales volume of 2,000 to 2,500 units. The car was also intended to target those who are “youthful and sporty”. The Satria Neo was launched by Malaysian Prime Minister Abdullah Ahmad Badawi. The entry-level Satria Neo, the 1.3 L-line, is powered by a 1.3 litre, inline-4 twin-cam Campro engine, producing 94 bhp (70 kW) at 6000 rpm and 120 N m of torque at 4000 rpm. The 1.6 M-line and top-of-the-range H-line models have 1.6 litre versions of the same engine, with an output of 110 hp (82 kW) at 6000 rpm and 148 N m of torque at 4000 rpm. Both the M-line and H-line models have active system antennae which actively search for signals in areas with poor reception. All cars have the option of either 5-speed manual or 4-speed automatic gearboxes supplied by Mitsubishi that are carried over from the previous Satria, with the H-line benefitting from safety features such as twin airbags, ABS with EBD and seatbelt pre-tensioners. All versions of the car come with an integrated Blaupunkt CD player. With a 0-62mph time of 11.5 seconds and a top speed of 200kph, the 1.6-engined test car is not fast but it is quick. Besides, with traffic conditions and legal limitations in Malaysia, the performance figures are more than adequate. The Proton Satria Neo comes with just two engine choices; 1.3– and 1.6-litre, petrol units. Only the latter is available with a 4-speed automatic transmission but there is a penalty to making that choice – poorer fuel consumption about 10-14km/l, a slower sprint time and greater CO2 emissions than with the 5-speed manual box. If emissions and frugality are important to you, it is better to go for the 1.6 manual. Official figures are posted as; 27.9mpg (urban), 61.4mpg (extra-urban) and 42.8mpg for the combined cycle. In this format, the Satria Neo exhausts 157g/km CO2, which puts it in VED Band D and the insurance is Group 7. The 1.6 engine produces 112PS (111bhp) at 6,000rpm and 148Nm (109 lb ft) at 4,000rpm The same collaborative engines and transmission can also be found in the GEN-2 but for the Satria, they have been tweaked for better low to medium acceleration and flexibility. 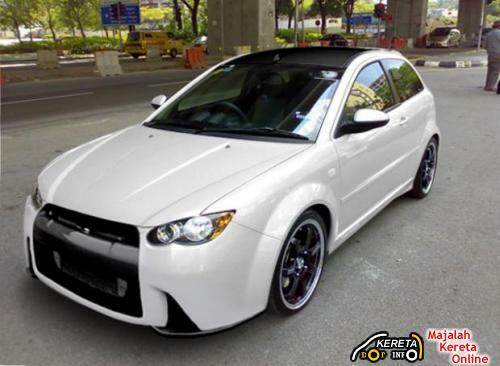 Many and wide range of body kit for Satria Neo available with cheaper price of bodykit. To all satria neo owner, you are invited to make some reviews about your satria neo car here. And others also allowed to give some opinion on this hatchback car. Ada satria neo black colour bonnet depan,belakang,bumper depan belakang..